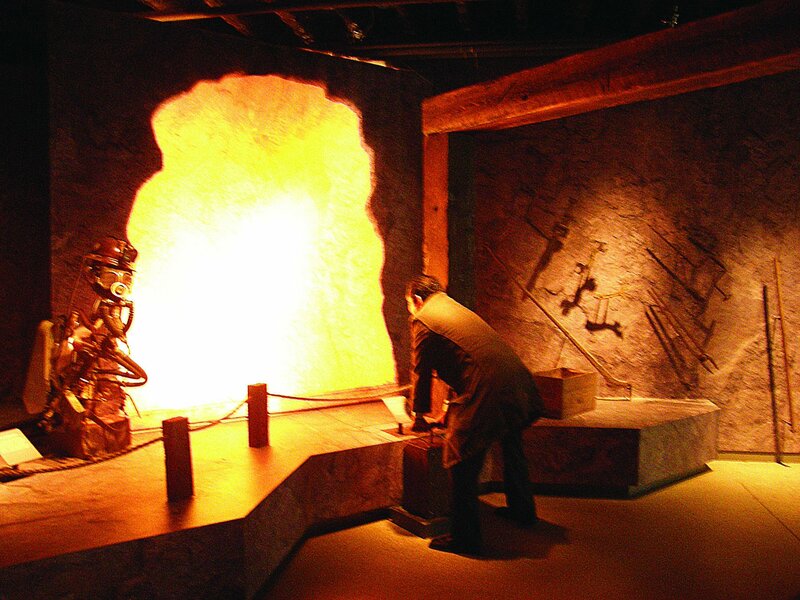 In this area, visitors walk through a simulated mine shaft and get the opportunity to “blow something up” (a favourite with school groups) and watch a show. 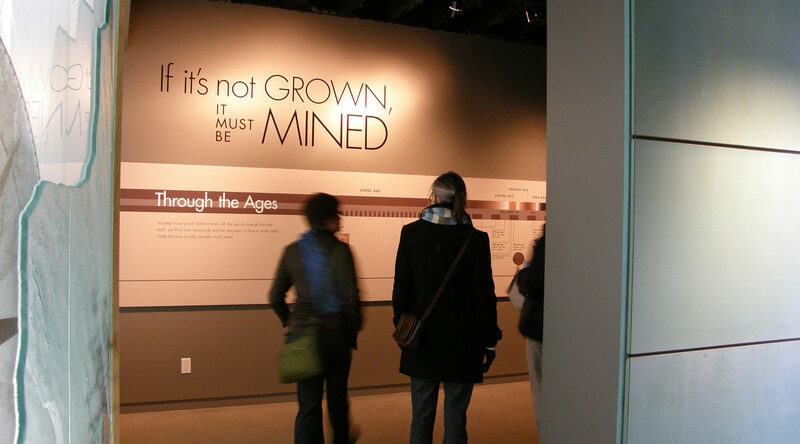 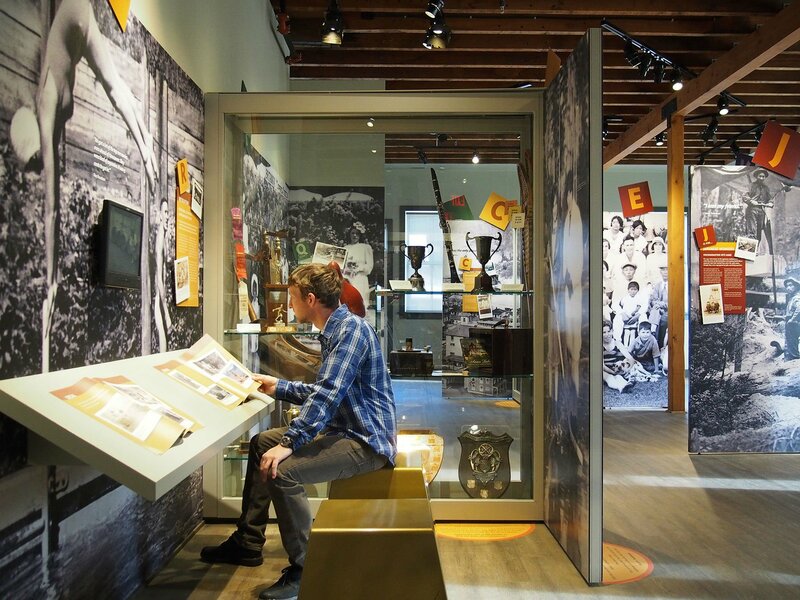 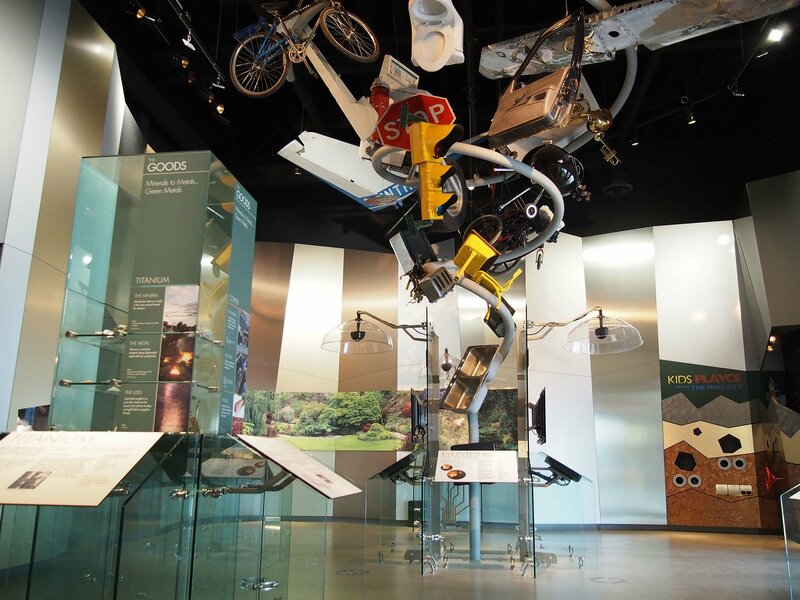 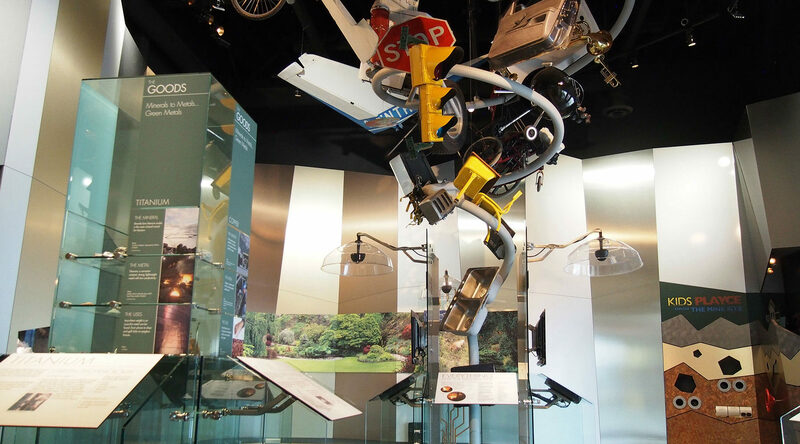 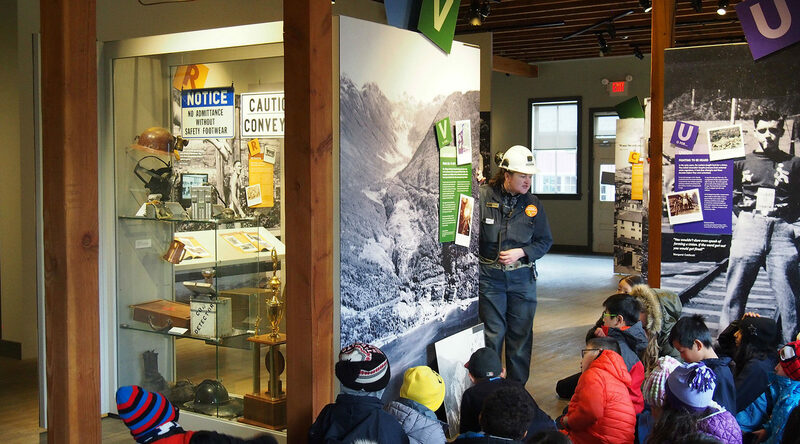 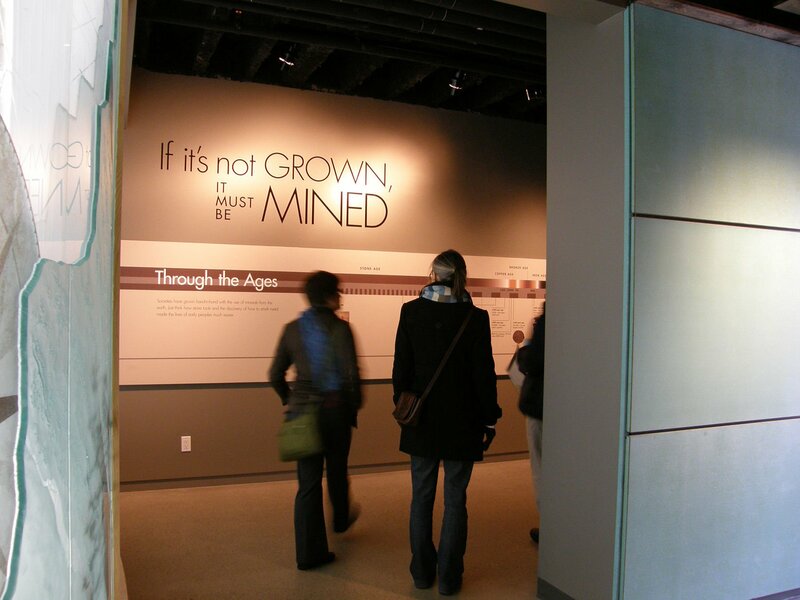 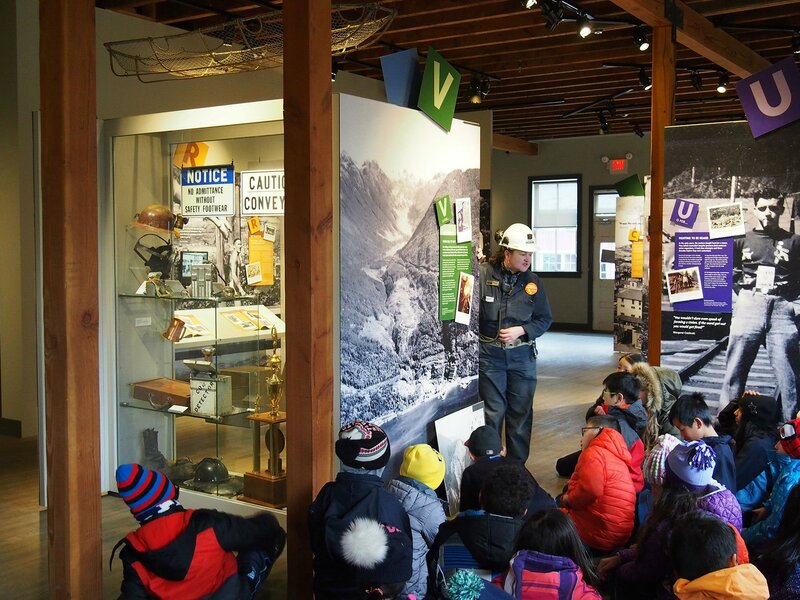 Visitors also gain insights into innovations in mining technology and learn about the future of mining through both static and interactive displays. 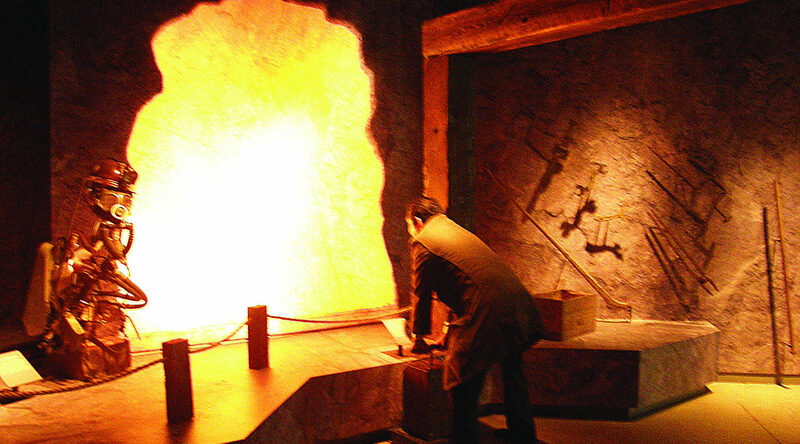 Amazing mineral samples and a sculptural vortex showing a variety of items made from mined materials round out the experience. 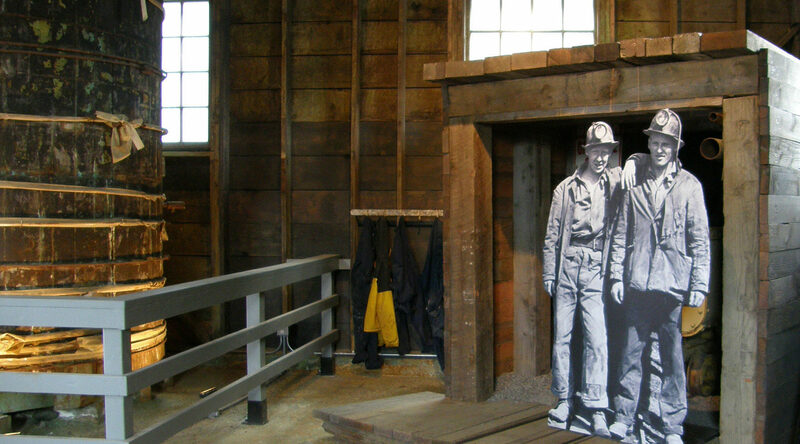 The extreme isolation of the mine’s early days created a unique and vibrant self-sufficient community…which made for some really good stories. 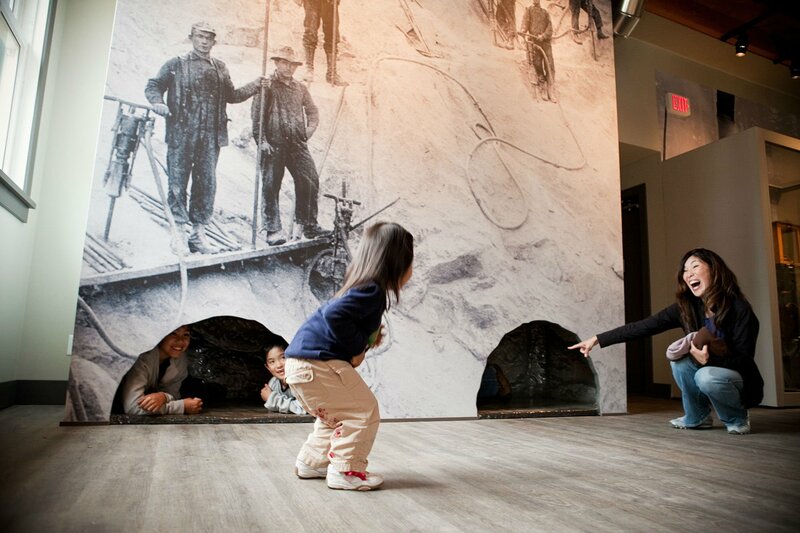 In this area we focused on telling stories about the people, events and memories that shaped the lives of the residents. 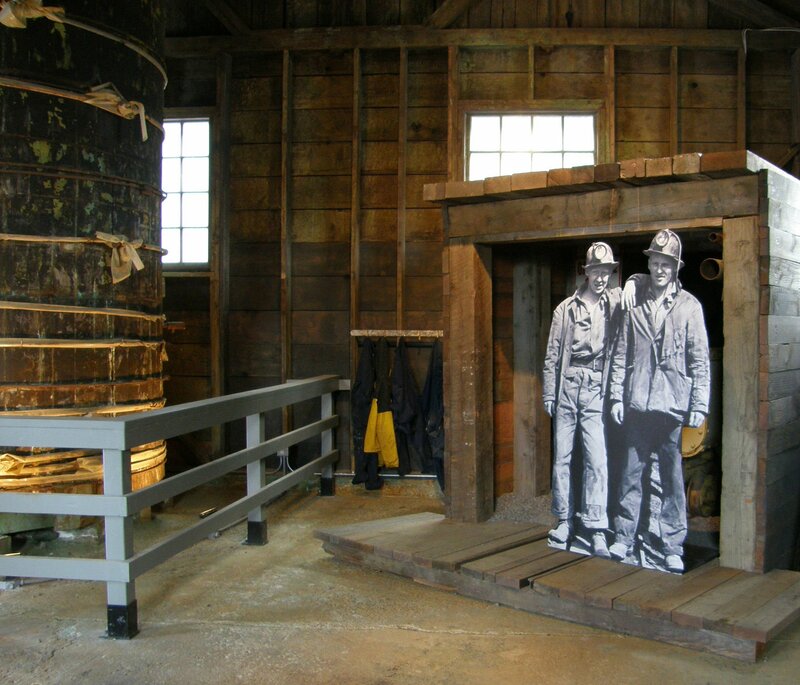 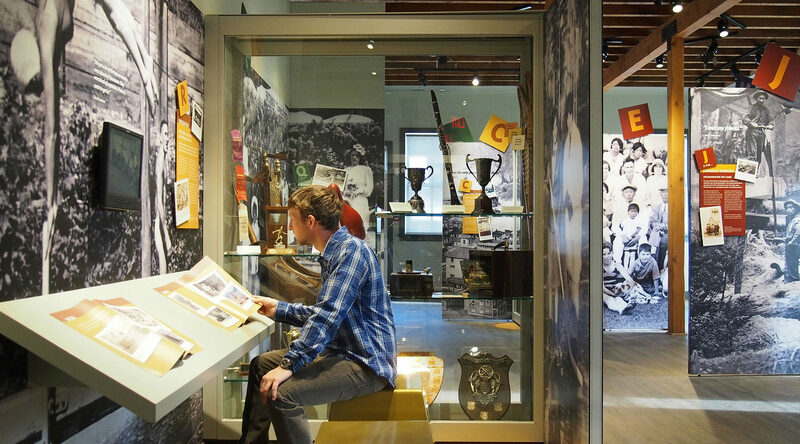 The stories are told through graphics, photomurals, artifacts and film loops. 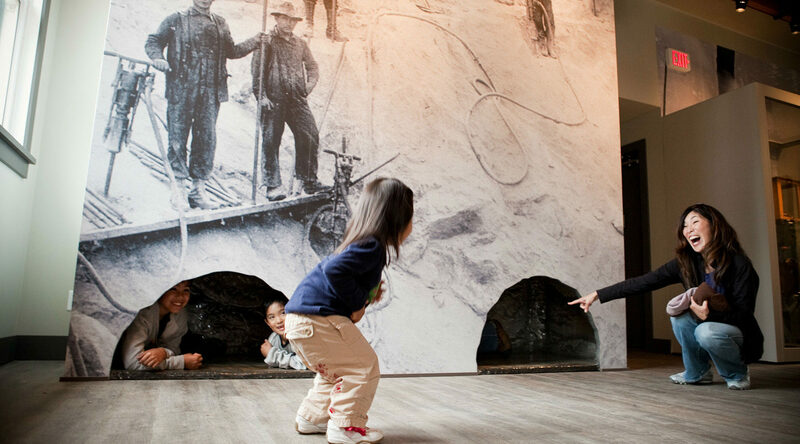 One of the major features in this space is a ‘crawl in tunnel’ for kids.